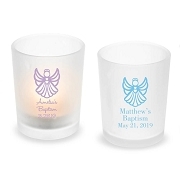 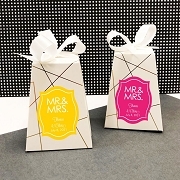 NOTE: Requires assembly of gift box (see description). 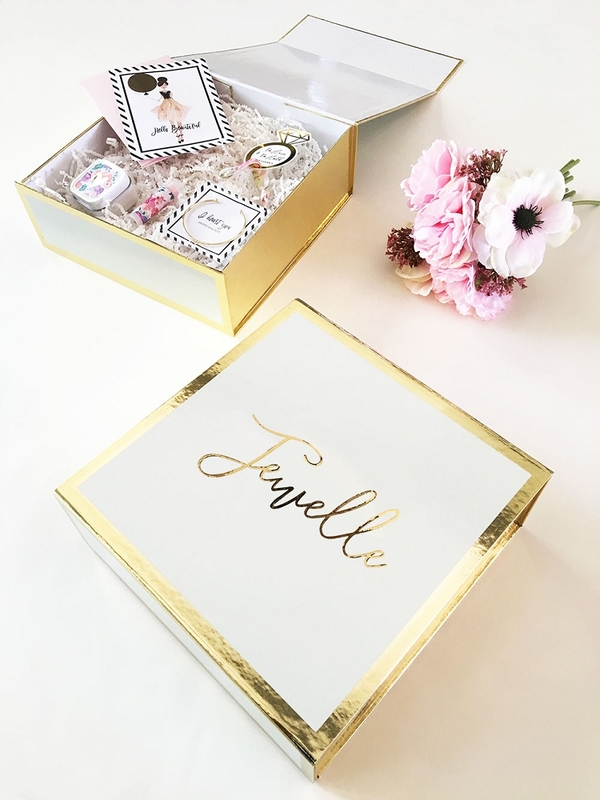 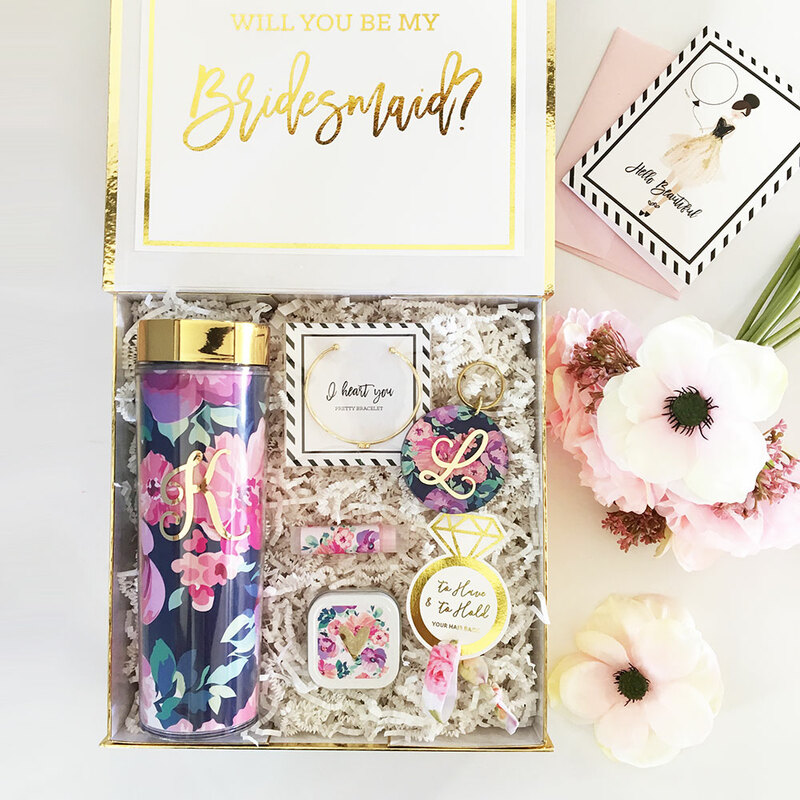 These personalized Gift Boxes make an elegant way to package the gifts for your bridal party! 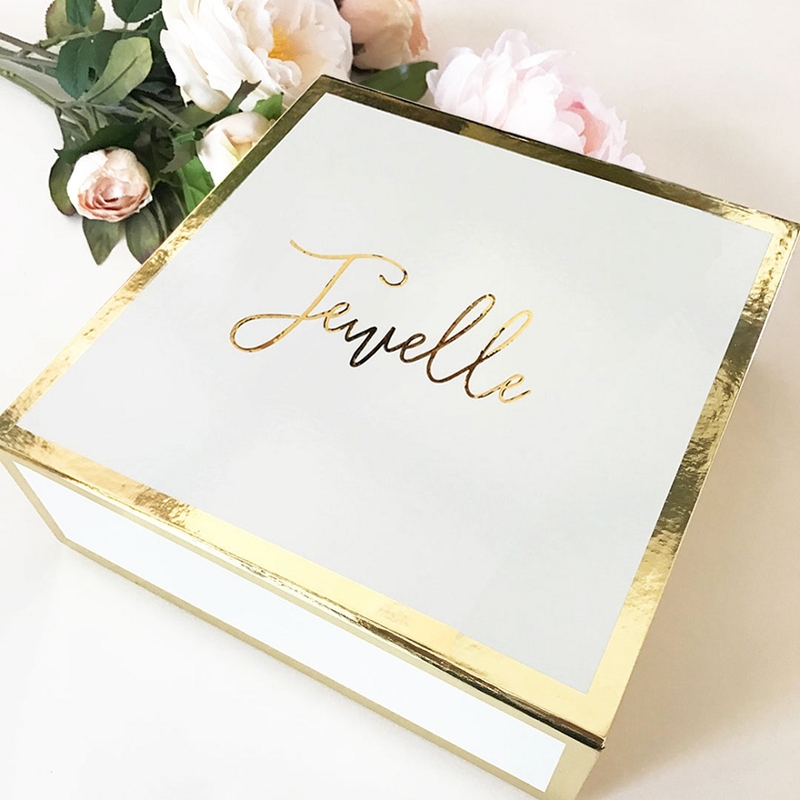 Each stylish white & gold box is personalized with a custom name in gold vinyl script. 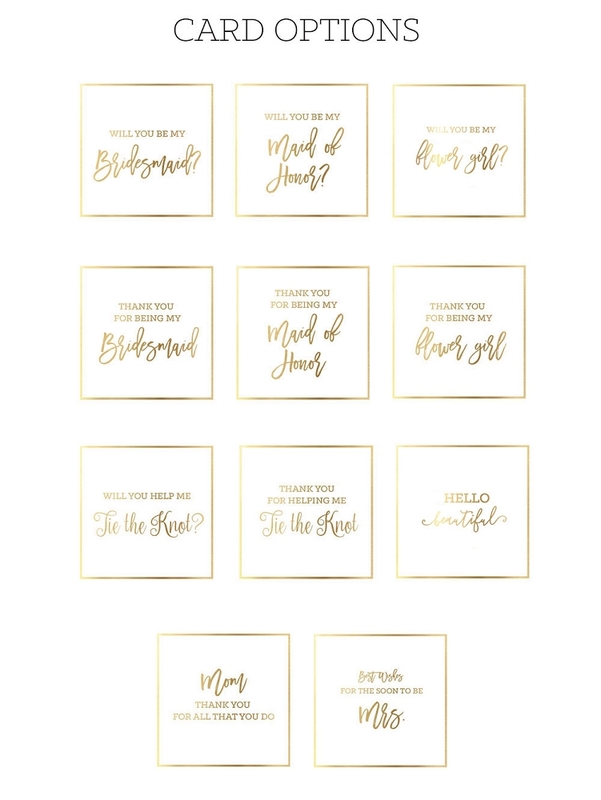 Add an inner card to ask/thank your bridal party for an additional charge. 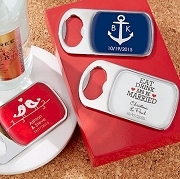 NOTE: Content as shown in pictures is NOT include.